Bubble tea? Ya kidding. Everybody knows what a bubble tea is and we got plenty of Asian shops selling bubble tea here in Adelaide. There are 2 or 3 in Chinatown and 2-3 in Rundle Mall. However, the latest addition to the bubble tea family, Chatime, brought some storms. 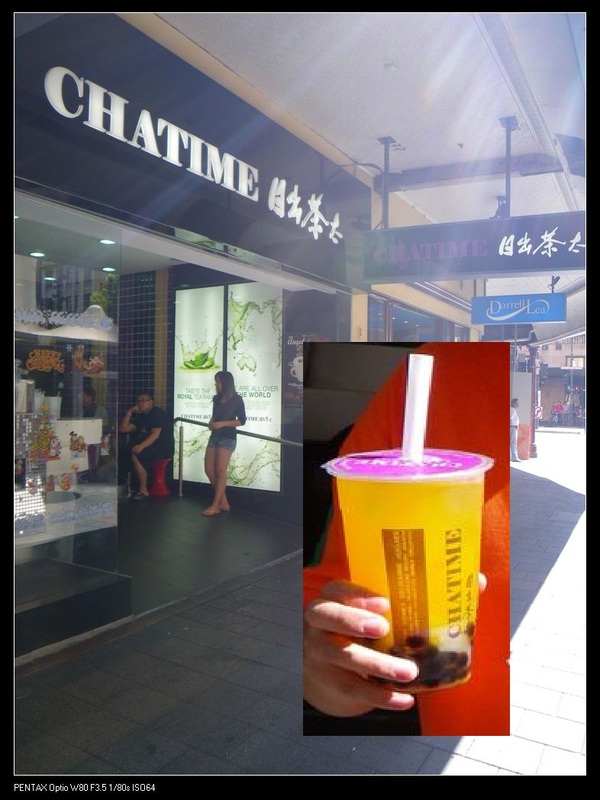 Chatime was originated in Taiwan in 2005 and now has over 400 retail outlets all over the world. Everyday when I walk pass by after work, a long queue in front of this place is often what one should expect. The franchise brand prompts that their tea are freshly brewed on the premises. Anyway, I tried the mango Jelly tea, $5.20. Nice. It’s very refreshing in a hot summer day. What else? Emmmm…, super sweet and icy!? After I finished my tea, the ice is almost half of the cup. They also made the tea to a super sweetness level which I can’t tolerate. Be honest, I can’t taste much differences between their tea and other bubble teas but for a hot summer refreshment, I wouldn’t mind to have the tea again. Don’t really like this shop though. Any suggestions for good bubble teas? I always like Qubic because they are not that sweet, and the bubbles are not soaky.